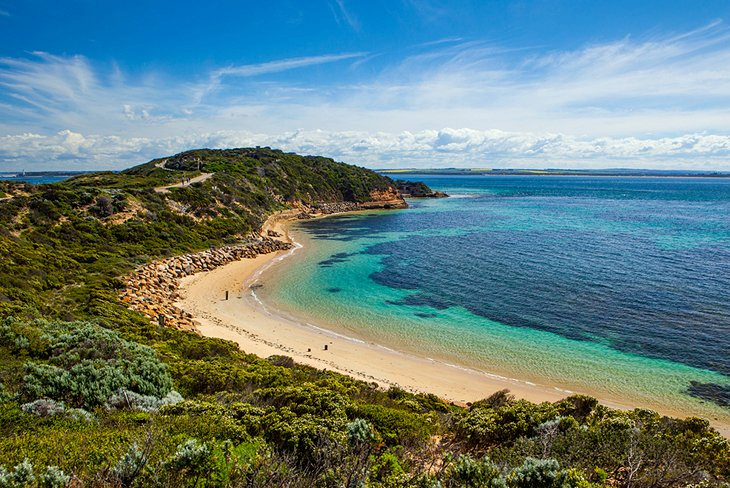 These days a gold find in the streets is more fantasy, but people still flock to The Goldfields with hope of finding the yellow bullion and enjoy the surrounding scenery and attractions that make The Victorian Goldfields a destination must. 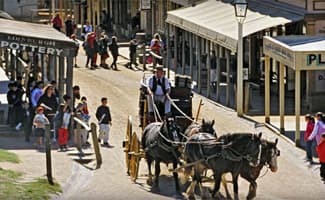 It’s the perfect gateway for visitors arriving from Melbourne for the Goldfields touring route but don’t leave town until you’ve visited the Eureka Centre, Sovereign Hill and had a drive along the Ballarat Gold Trail which includes 16 major sites with a few wonderful panoramic views of the city. The Eureka Trail is another must to visit when you’re in The Goldfields area and includes some of Ballarat’s most ornate Victorian architecture. 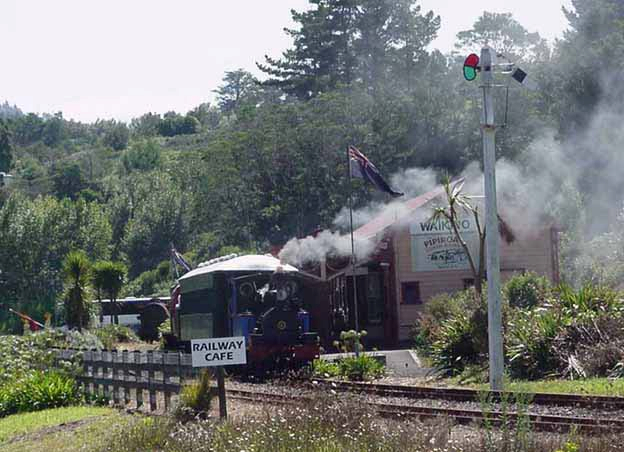 You can travel along through to the Bendigo area of The Goldfield’s where attractions including the vintage talking tram and the Golden Dragon Museum reveal much of Bendigo’s golden history allowing visitors tours that will fulfil all wants of knowledge of the area. Wine and food in the area is also another must when holidaying and while long hot days and cool nights of the regions are just what makes wine drinking much more special. Whether your wine of choice is a fine Shiraz or a cool chardonnay, days can be spent in quiet nestled accommodation enjoying a bottle of the regions finest or tempting your tastebuds with divine cuisines which will make your holiday more special then imagined. Throughout The Goldfields trails there are more then 20 restaurants and cafes around the towns of Bendigo, Heathcote, Maldon and Daylesford. Most of which are supplied by local producers who provide only the best and freshest produce to the locals allowing visitors to sample what the region has on offer. The Goldfields wine area is particularly well suited for those who like citrus characteristics in their flavours. Many of the vineyards in the area are family owned and run so even if you’re not familiar with wine you’re sure to encounter friendly local hosts along the way and if you want to re-stock your cellar with the finest wines, then this is undoubtedly the region to do so.